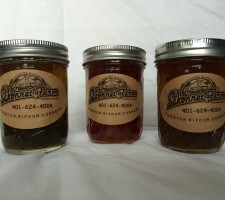 Now you can purchase some of our most popular flavors of jams & jellies even if you can’t visit the farm stand! Carrot Cake Jam: contains shredded carrots and pineapple, local pears, and all the spices you’d expect- cinnamon, nutmeg & cloves. Apple Pie Jam: local cranberries & apples combined with fall spices- nutmeg and cinnamon. 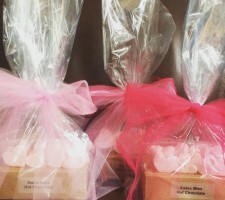 Hot Pepper Jellies are a favorite of our friends and customers! We enjoy them with cream cheese and crackers for an easy appetizer. We have developed recipes for some of our favorite jams- please see ourblog page. Our egg layer chickens are free roaming and have unlimited access to the outdoors from dawn to dusk. You will see how bright our yokes are in the warmer months due to the increased amount of natural protein our hens are exposed to. Free range eggs are 6 times higher in vitamin D and have higher amounts of omega 3’s than caged bird eggs because Omega 3’s are found within the chloroplasts of green leaves. Studies have shown vitamin D to play an important role in our immune system. Free range eggs are lower in fat & cholesterol than caged bird eggs because the chickens are outside exercising all day. Exercise- good for humans, good for chickens. Our chicken’s natural diet is supplemented with non-medicated and hormone free egg layer pellets. We also give them treats like garden scraps and leftover bread which they love.